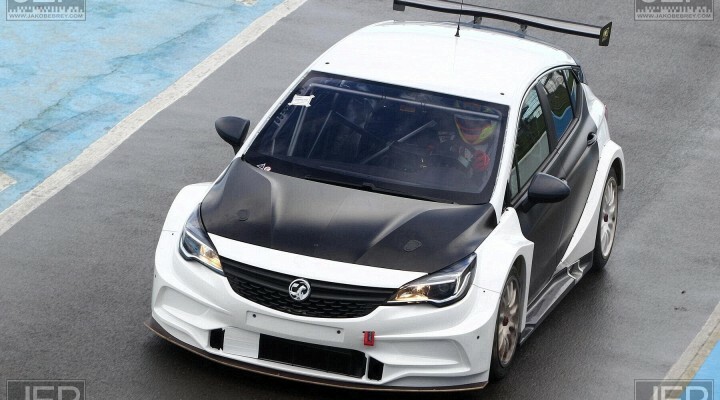 A new chapter was written today, on Vauxhall’s return to the Dunlop MSA British Touring Car Championship, as the Power Maxed Racing Astra was seen publicly for the first time. The covers are off and the car has hit the track for an initial shakedown at Donington Park, with further testing planned over the coming weeks. It has been a monumental effort on Power Maxed Racing’s behalf to prepare these cars over the winter, with their build managed by respected Team Manager Martin Broadhurst, and today marks a fulfilling milestone for the outfit and particularly boss Adam Weaver. “It is a very proud moment for our car to take to the circuit for the first time,” said Weaver. “We started building the Astra just before Christmas and to see it turning a wheel is a special feeling for the team. There has been a lot of hard work put into this programme already and these are still our first steps. The announcement of Vauxhall’s return to the BTCC back in November proved to be one of the biggest stories in the off-season. News soon followed that series returnee Tom Chilton and rookie Senna Proctor would be leading the charge for PMR in the 2017 campaign, with the latter taking the reins during today’s run. Both drivers are due to garner further mileage in the Astra next week ahead of the full livery unveil, which will take place at the BTCC Season Launch on 16 March. A further outing for the Vauxhall will take place during that afternoon’s test session.